Ann has appeared before most of corporate America as well as hundreds of medical institutions, women's groups, with both her speaking programs as well as her music shows. Your heartfelt presentation was inspirational and will be long remembered by our audience. The musical numbers were also a big hit, and everybody wanted to hear just one more. One of the most exciting projects was when Dr. Jonas Salk insisted on introducing Ann, when she spoke to our Council of Hope as the Salk Institute. Her name brings star quality and attention to any organization, we raised close to half-million dollars! 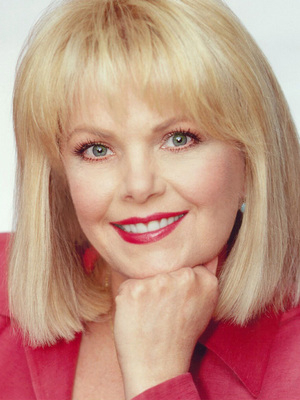 Ann Jillian's message is so inspirational. It motivated us to do what we should be doing for ourselves, so as to be happy, healthy, and in love with life and everyone in it--as Ann is.